“Can’t happen! She’s too stubborn, too entrenched! There’s no point talking to him.” The statements could be attributed to any number of clients I’ve worked with over the years. In the midst of conflict the idea of successfully talking out an issue often seems remote. It’s at times like these that the memory of Nelson Mandela reassures me with optimism and hope. If Mandela could so it, so can others. Faced with one of the most difficult conflicts – apartheid – Mandela and those with whom he and others negotiated overcame mistrust, fear, revenge, and injustice to forge an agreement that has allowed former enemies to live side by side in South Africa. Their lives are an epic contribution to the idea that dialog can result in resolution. The South African resolution was accomplished with a neutral third party’s assistance. The movie “Endgame” dramatizes the negotiations and I’d highly recommend it to mediators who in addition to the suspense and to the entertainment will recognize the turning point, the consequence of non-agreement, and the role of emotion in reaching agreements. 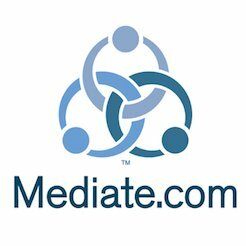 Those of us who practice mediation can reassure clients that if intractable conflict in South Africa can be resolved, there’s hope for your dispute. For me, and I hope for all mediators, Mandela will remain monumentally symbolic of what can be achieved when people dialog together.